In 2018, we decided to ‘jump into’ something new. We love celebrating what grows in Muskoka, and we wanted to see if we could develop a cider to reflect this region. As always, for us it starts with what grows here. 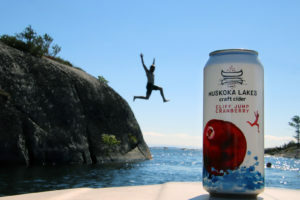 We like to put our own, Muskoka twist on things, and our cider was no exception. We started with 100% Ontario apples and then added our own, Muskoka grown cranberries. This combination produced a mouth-watering, off-dry cider that’s a great way to jump into summer – any time of year! 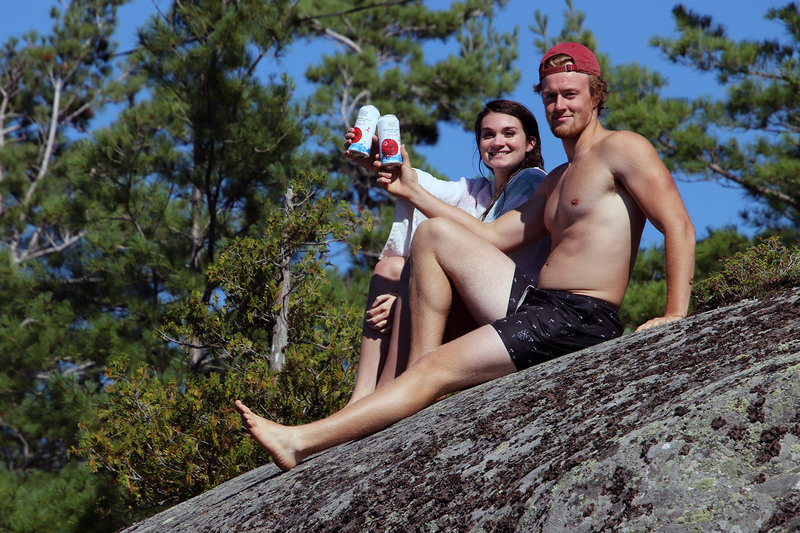 If you’ve spent any time in Muskoka, you know this region is located on the Canadian Shield. Cranberries make their home in this rugged region, where exposed granite often takes the form of towering rock faces. Jumping off these cliffs into the lake is a favourite summer thing to do. We think cranberries add the same kind of excitement and exhilaration to cider. We hope you feel the same way! At Muskoka Lakes Farm & Winery! 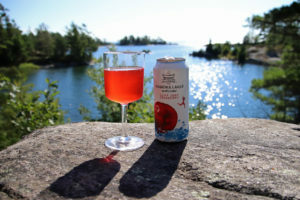 We’re hoping to make it more widely available in 2019, but for now, drop by our farm and winery in Bala, Muskoka, Ontario to check it out!